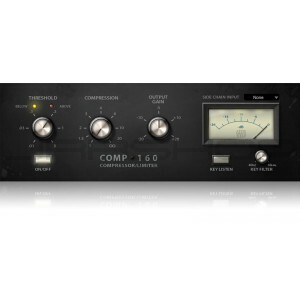 With simple controls, yet capable of extreme compression traits, the Comp 160 provides VCA character with a personality all its own. Expand the processing capabilities of any PreSonus® StudioLive® Series III console or Series III rack mixer, as well as Studio One®, with the Comp 160 Compressor. With simple controls, yet capable of extreme compression traits, the Comp 160 provides VCA character with a personality all its own. Try it on drums—you’ll be glad you did! Included in the Modern Classics Bundle.